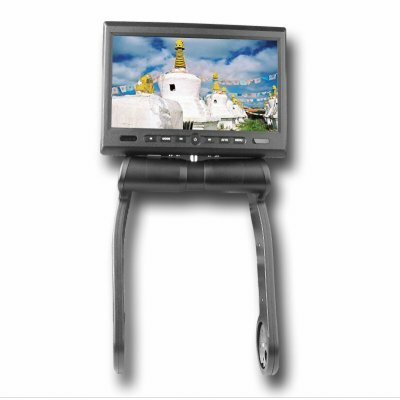 Successfully Added Car Armrest DVD Player - 8.5 Inch TFT Swivel Screen -Black to your Shopping Cart. DVD player built for easily mounting onto a cars central armrest, and featuring a incredibly large 8 Inch TFT display which will swivel 350 degrees. Multiple disk formats can easily be played simply by slipping them into the player behind the screen, and with the AV In, you can also view images from other sources simply by plugging them in. Another great feature is the SD MMC MS card reader and USB port for directly playing digital files on the Armrest DVD player. A unique and useful design with easy installation and a wide array of uses, this is a Car DVD Player nobody should be without..